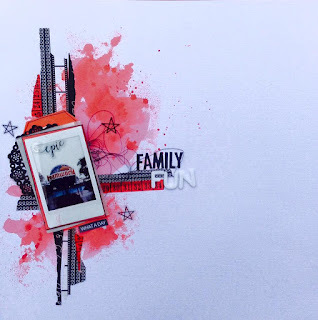 You definitely need to pop on over to the blog to check out what the team has created, there are so many absolutely stunning creations. 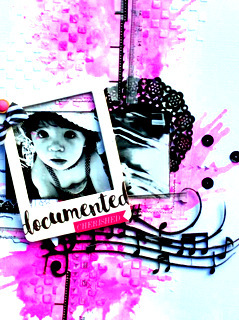 Here is my take on this month's challenge, I thought these photo's of the girls suited this month's colour to a tee.. Please Note: Prizes, prize packs and gift vouchers are subject to terms and conditions of the sponsor. For your chance to win a prize from these great sponsors link the photo of your layout to the Inlinkz gallery on the left and use your own name and country in the area that says 'Name/Description" eg. Sally Smith (AUS) . Two of our prizes are decided via team vote while our third prize is a random draw from remaining entries – anyone can be a winner on White … with 1, regardless of style or level of experience. 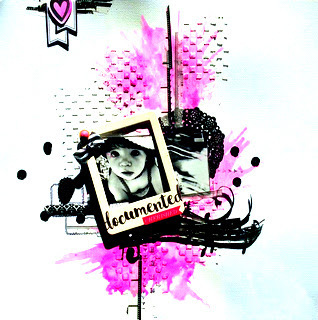 All entries must be new for this challenge and the original work of the entrant. 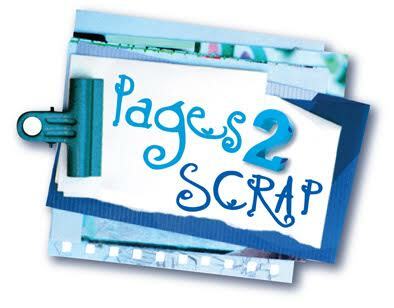 You may combine our challenge with a sketch challenge only - no other combining will be accepted and please remember we only accept paper or digital scrapbook page entries - cards, OTP, pocket pages etc are not eligible for prizes. International entries are welcome. Please see our full list of rules HERE. And here is my take on the challenge - I love this colour and love the way my layout turned out. 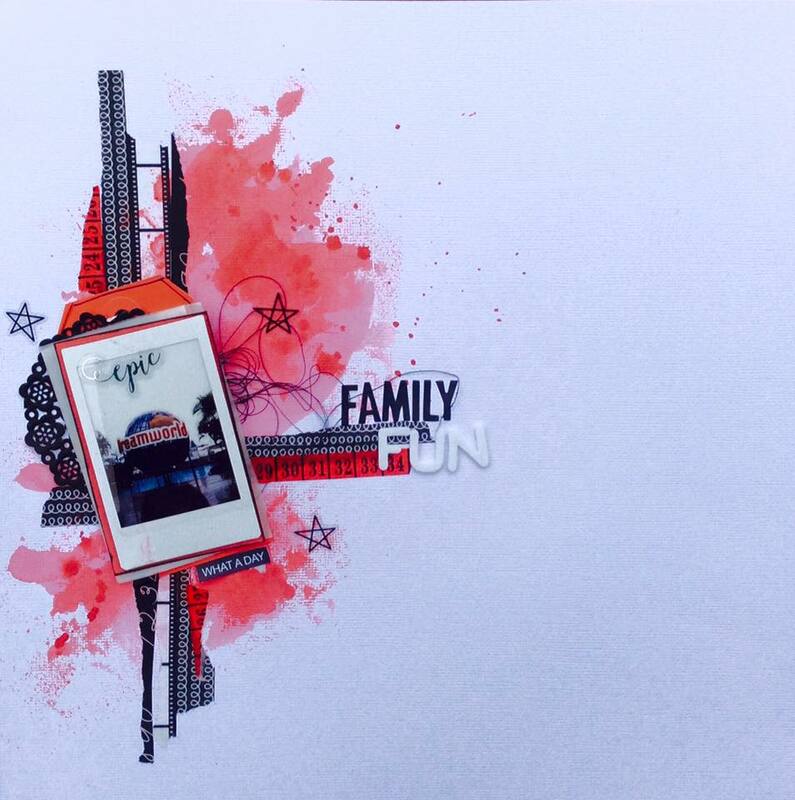 You must pop over to the blog to see everyone's creations. 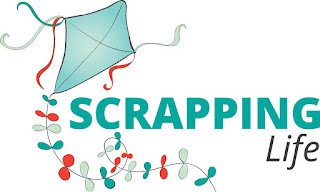 We would love to thank Scrap Therapy for their sponsorship this month and invite all participants to enjoy a 10% shopping discount with them - Please use code WW1. So many fabulous products at Scrap Therapy - you are spoilt for choice. 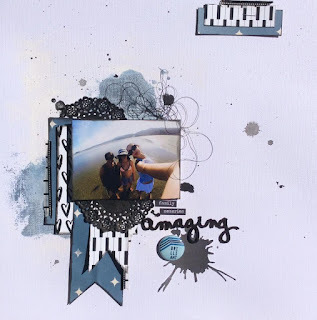 How about some fabulous stencils to help you create your wonderful backgrounds or some adhesives to hold everything together while you produce those White ... with 1 layouts! Today marks my 2 year anniversary with White with One, I cannot believe how quickly the years have gone. For your chance to win a prize from these great sponsors link the photo of your layout to the Inlinkz gallery on the left and use your own name and country in the area that says 'Name/Description" eg. Sally Smith (AUS) . 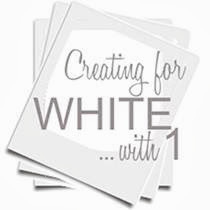 Two of our prizes are decided via team vote while our third prize is a random draw from remaining entries – anyone I can be a winner on White … with 1, regardless of style or level of experience. the sun is shining, the daffodils are out, and it's so good to feel the warmer days, yes Spring is here, and what better way to create a layout using this gorgeous colour over at White with One. 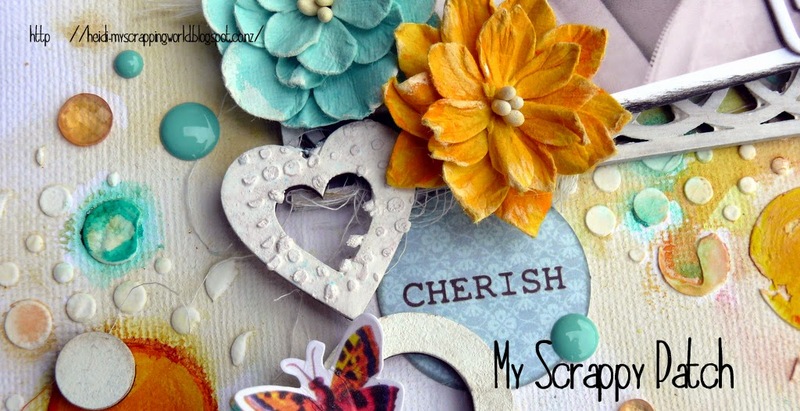 So many fabulous products at Scrap Therapy - you are spoilt for choice. 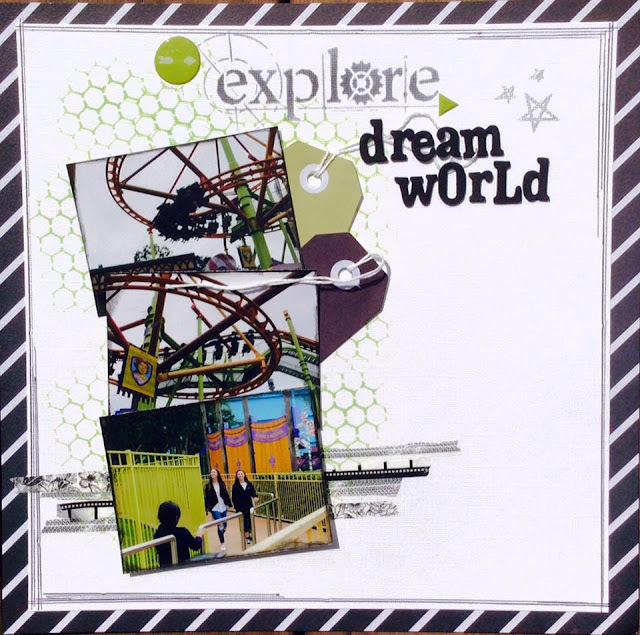 How about some white cardstock to help you with your White ... with 1 layouts! Happy shopping. For your chance to win a prize from these great sponsors link the photo of your layout to the Inlinkz gallery on the left and use your own name and country in the area that says 'Name/Description" eg. Sally Smith (AUS) . Two of our prizes are decided via CT vote while our third prize is a random draw from remaining entries – anyone can be a winner on White … with 1, regardless of style or level of experience. 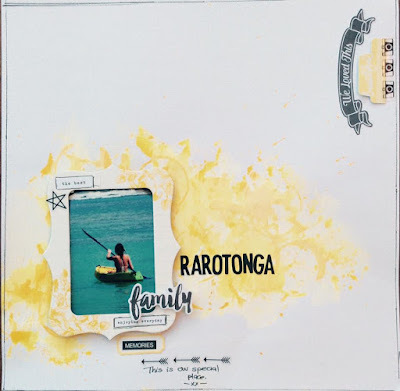 Here is my take on the challenge - I have gone pretty simple with this layout only using coloured items to create my page and a touch of blue spray. For your chance to win a prize from these great sponsors link the photo of your layout to the Inlinkz gallery on the left and use your own name and country in the area that says 'Name/Description" eg. Sally Smith (AUS) . Two of our prizes are decided via CT vote while our third prize is a random draw from remaining entries – anyone can be a winner on White … with 1, regardless of style or level of experience. 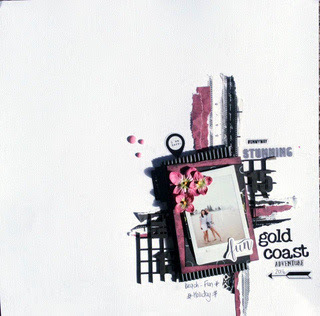 Hi everyone, been a busy month and winter is definitely setting in for us here in New Zealand, but fortunately we have a family trip planned towards the end of the month in the lovely warm and sunny Gold Coast.